Sure, IKEA kitchens are very affordable. It’s the number one reason why people select IKEA for their kitchens. Still, nobody wants to spend a couple thousand dollars on an IKEA kitchen renovation, only to have their kitchen look like pleated jeans and shoulder pads in only a few years. The antidote to trendy is classic. The little white IKEA kitchen is an enduring classic. Just take a gander at our portfolio and you’ll see what we mean. Seventy percent of them are white kitchens! IKEA really lends itself to this timeless kitchen design. 70 percent of our portfolio is white kitchens! White is clean, bright, and cheery. And it’s easy to keep this look up-to-date. According to Houzz.com’s 2015 Kitchen Trends Study: Canada (page 14), 51 percent of Canadian kitchen remodels in 2014 feature white cabinets. White IKEA kitchens aren’t for everyone, however. We’re proud that two of our IKEA kitchen designs have been featured on TheKitchn.com (Laura’s kitchen and Amy’s kitchen). Both happened to be white kitchens. Some of the commenters were fans (hey thanks!) and some were decidedly not. Like we told one commenter, we’re in the business of making our customers happy. 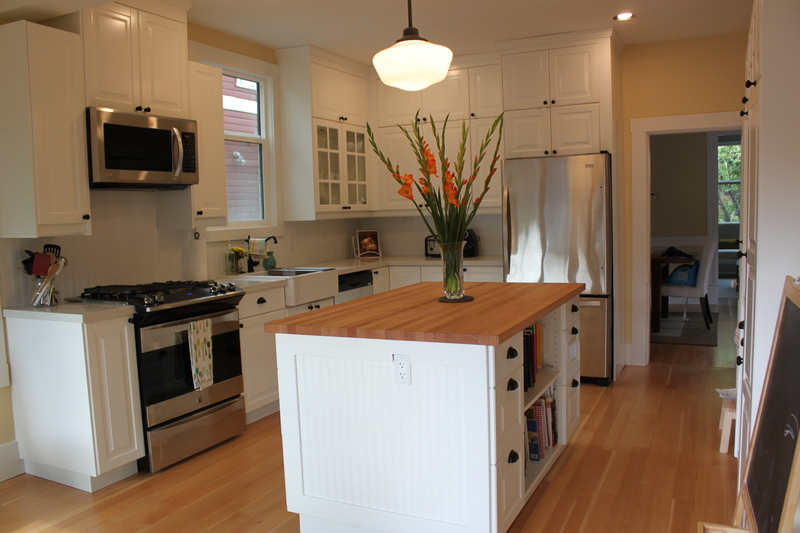 If our customers want a white kitchen, they’re going to get a great white kitchen design, darnit. On the flip side, we can understand the anti-white kitchen point of view. May we suggest a compromise? IKEA is the Place for White Kitchens…But You Can Have Fun With It! 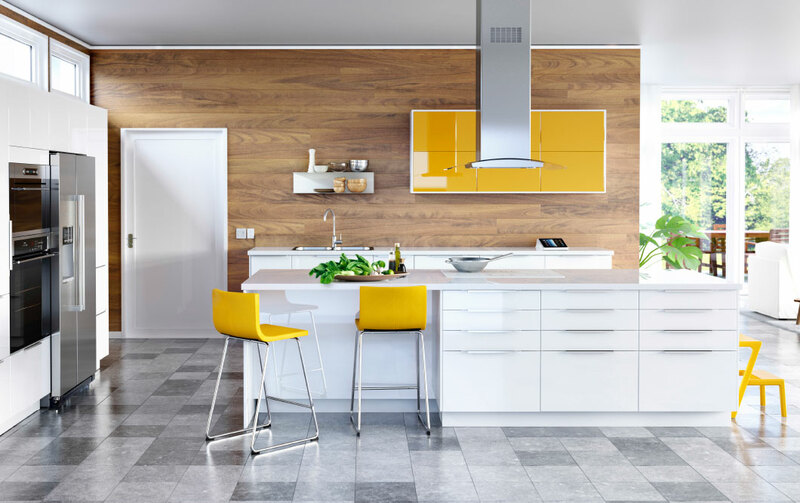 But to make your white IKEA kitchen a little more fun, might we suggest a bold pop of color with high-gloss yellow JÄRSTA accent doors? Or perhaps some high-gloss green FLÄDIE accent doors? See, it’s totally possible to have a forever-kitchen that still looks fresh and fun. How Do You Feel About the Little White IKEA Kitchen? Do you love it? Or hate it? IKEA kitchen images are from IKEA.com.